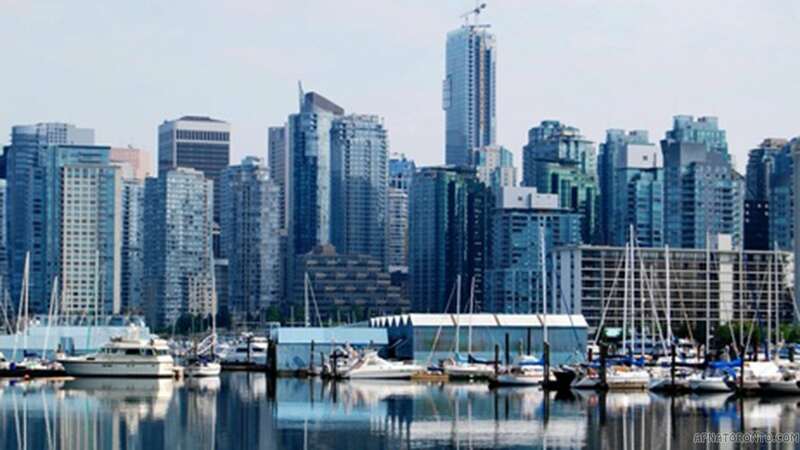 The British Columbia Provincial Nominee Program (BCPNP) is designed to help suitably qualified workers and business people apply for residency in British Columbia in order to help boost economic prosperity and fill gaps in the workplace. Those who fulfill the requirements of the program can apply to have their names and those of their immediate family put forward to Immigration Refugee and Citizenship Canada (IRCC) as "provincial nominees" for permanent residence. It should be noted that all final decisions on residency rest with the IRCC, and that there are other ways of obtaining permanent resident status in Canada if you do not fit the criteria for the BCNP. There are three routes through which workers or entrepreneurs can apply for permanent residency under the BCPNP: two of them are designed for workers or international graduates and one for entrepreneurs. Each stream has different requirements as detailed below. For both the Skills Immigration and Express Entry streams you must have been offered full-time, open-ended employment in one of the qualifying occupations. You must be suitably qualified for the employment you have been offered (two years of experience working in the occupation you've been offered and/or suitable qualifications) and the remuneration must be a competitive salary. For certain occupations you will have to prove your proficiency in English or French (those in National Occupational Classification B, C or D, though it may help your application to show proof of proficiency in languages if applying in other categories). There is a minimum income requirement for the BCPNP, depending on the size of your family and place of residence. For a single person this is $22,140 if living in the Greater Vancouver Regional District, or $18,452 in the rest of British Columbia. This rises incrementally up to $58,591 (Greater Vancouver)/$48,830 (Rest of B.C.) for a family of seven or more. The employment you have been offered must be of economic benefit to British Columbia, e.g. involved in job creation, skills training etc. You must not own more than 10% of any company which offers you employment, you must not be replacing a person or persons involved in a labour dispute and your employment must not remove jobs or training opportunities for permanent residents or citizens of Canada. Those involved in refugee claims, who have entered Canada unlawfully, who are prohibited from entering Canada or whose right to remain in Canada has expired will not be considered for nomination under the BCPNP. International graduate: open to international students who have graduated from a Canadian college or university not longer than two years previously. Applicants in this category do not need to prove two years of employment but must have an appropriate job offer. Skilled worker: open to those who have been offered a post classified as 0, A or B in the National Occupational Classification and who fulfil the criteria of two years’ full-time work experience in the offered post and/or suitable qualifications. Entry-level/semiskilled worker: to be eligible in this category you must be able to prove at least nine months of full-time employment (average 30 hours per week) for a British Columbia employer. Your occupation must fall into the categories of tourism and hospitality, long haul trucking or food processing (apart from in the north-east development region where any occupation falling under level C or D in the NOC is eligible). This stream is designed for those who are not currently permanent residents of Canada but are applying or wish to apply to do so. If applicants fulfil the necessary criteria British Columbia may use the BCPNP to accelerate their residency application to the IRCC's Express Entry System. Broadly, applicants must fall into the same categories as for the Skills Entry Scheme above in the healthcare professional, international graduate, international postgraduate or skilled worker areas. The only exception to the Skills Entry Scheme requirements is the residency/employment in British Columbia criteria: you will still need suitable experience, qualifications and an offer of open-ended, full-time employment. Applicants must also match minimum requirements for a suitable federal economic immigration program (Federal Skill Worker program, Federal Skilled Trades program, Canadian Experience Class) and fulfil the language criteria and/or education evaluation required for those programs. Applicants must have an IRCC Express Entry Profile number and a Job Seeker Validation Code. Management: you must prove that you are actively involved in the day-to-day management of a business in British Columbia. Residency: you must have been living in British Columbia for a minimum of 75% of the time you have held a work permit, and you must live within 100 km of your business. Eligibility: you must be lawfully entitled to enter Canada, not have any removal orders against you or be involved in any refugee claims. Assets: you must be able to demonstrate that you have assets equal to at least $600,000 held in your name or in those of your spouse/common-law partner. Experience: you must be able to show that in the last 10 years you have actively run a business for at least three years, been a senior manager for at least four years or a combination of the two (one year plus actively running a business and two years plus senior management). Education: you must have completed at least two years of post secondary education or have been an active business owner manager (100% owned) for at least three of the previous five years. Investment: you must prove that you are able to, and have plans to, invest a minimum of $200,000 in your business within 20 months of approval. Contribution: the business you are running must contribute to the economic growth of British Columbia. Other elements that are not compulsory but will count in your favour (i.e. points will be added to your application score) are English-language proficiency, studies made in Canada and full-time work experience in Canada.